It was on this date in 1849 that Edgar Allan Poe passed away. He was on his way from Richmond to Philadelphia via steamboat. He was to catch a train in Baltimore and then continue on to Philadelphia. He never made it. After having vanished for a period of 5 days, he was found in a tavern on High Street in Baltimore. Theories range from his death at the hands of his fiancee's brothers to his having been kidnapped and "cooped" in the cellar of a local tavern, where he was plied with cognac and opiates. He was then marched to several precints to vote for whatever candidate had "cooped" him prior to the election. We will probably never know the full extent of the mystery surrounding his death. But his poetry and stories will live on forever. 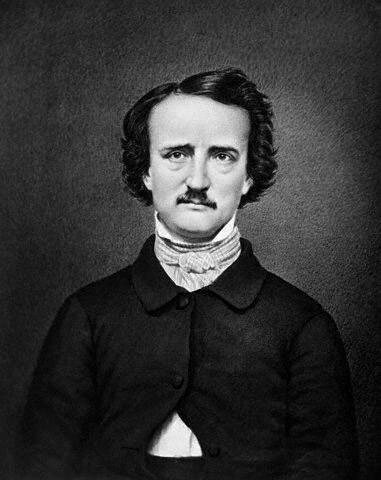 Here is one of the first Edgar Allan Poe poems to which I was introduced. I was about 8 years old at the time and the lyrical quality of this poem, along with the sadness of his lost love, hooked me on him forever. While living in Baltimore, my daughter Sarah, and I, were regular visitors to his grave.